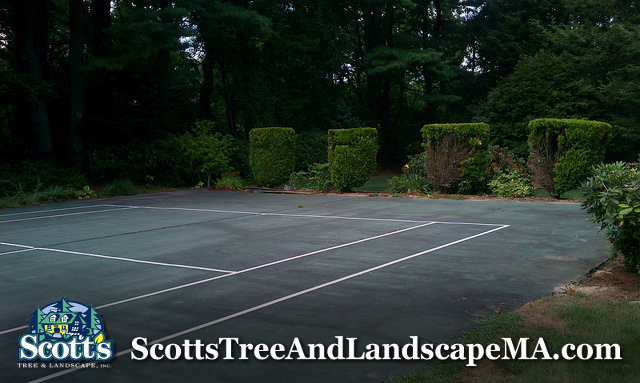 Scott's Tree & Landscape can install a custom patio for you as well as do any number of landscape design projects you have in mind. 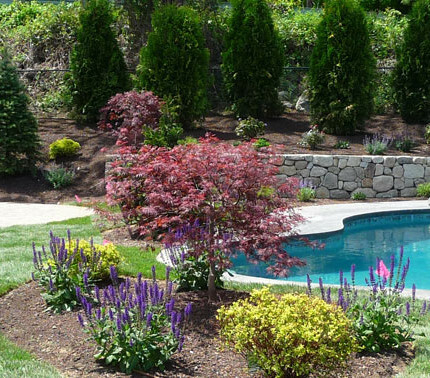 We are also available to consult on landscape design. 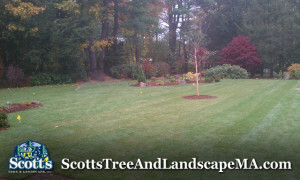 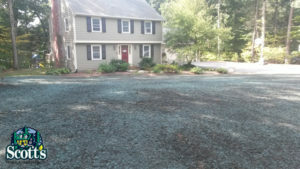 Scott's Tree and Landscape hydro-seeding new lawn and installed irrigation system in Chelmsford, MA. 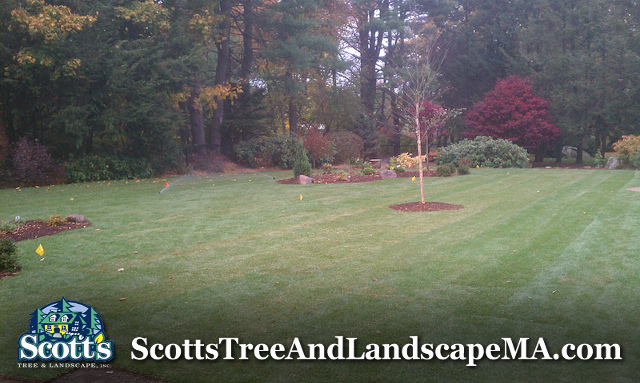 Scott's Tree & Landscape, Inc provides complete landscaping solutions that work with your architecture, setting, and budget. 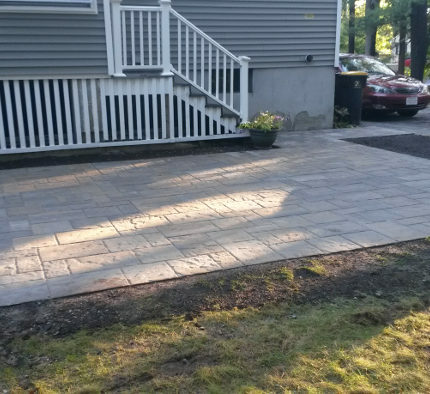 Call 978-692-2284 to schedule hardscape construction. Landscape renovation project in Lexington, MA. 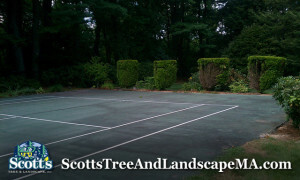 Here Scott's Tree & Landscape, Inc tore out an old tennis court and replaced it with a beautiful landscape. 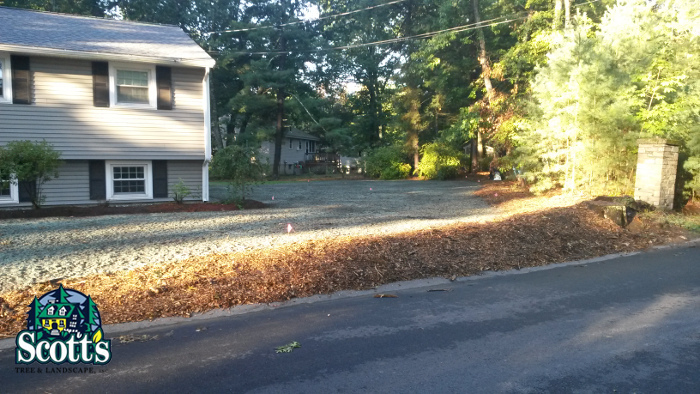 The landscape design's implementation included planting trees, plants, bushes, grading soil, laying sod and mulch.